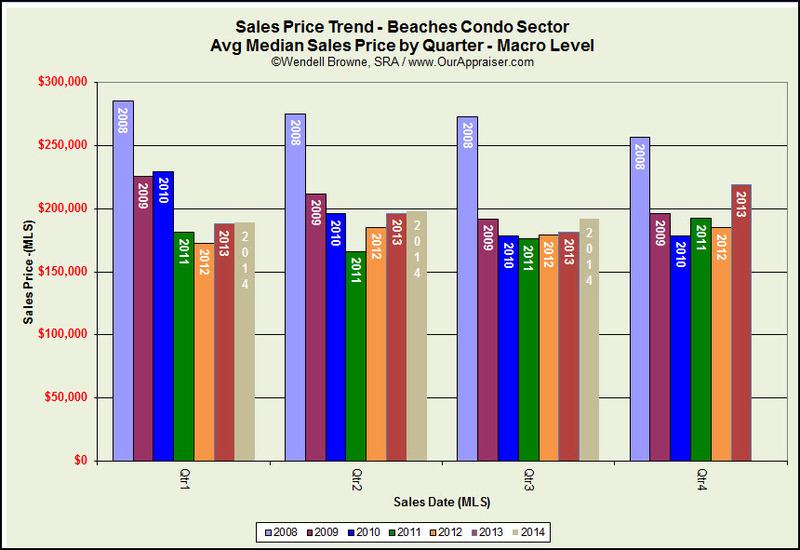 Contrasting the 3rd Quarter of 2014 to the same Quarter period in 2013, the Beaches condo market experienced a +5.9% increase in the median sales price while the standing inventory increased some 9.4%. Sales volume declined 4.4% for the Quarter period typical of the seasonal trends for the market segment. Nice graphs of the market Wendell. 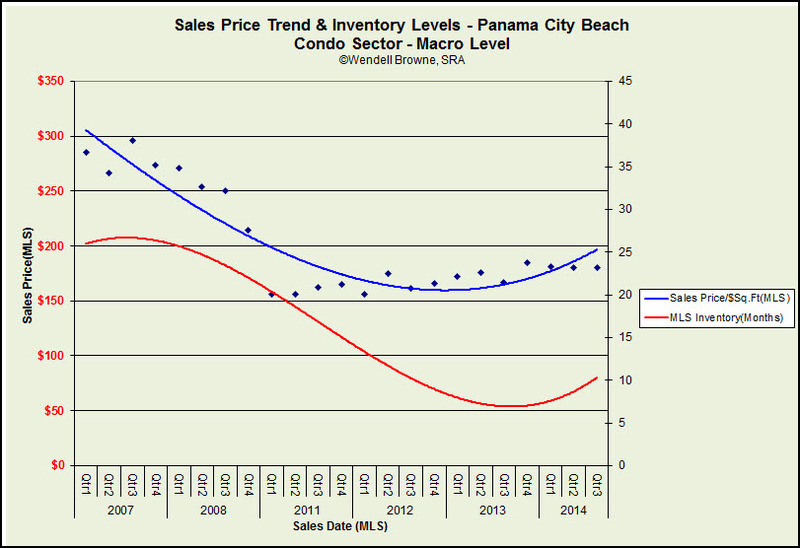 It's interesting that even though inventory increased you still had an increase in the median price. Thanks Tom. Yes, somewhat unusual.